Preheat oven to 350F. Place potatoes in a saucepan with just enough water to cover. 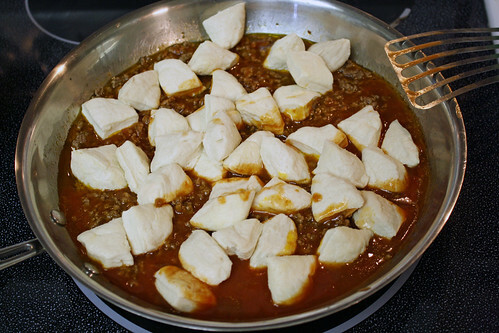 Bring to a boil, then lower heat and cook potatoes until tender, about 25 minutes. Drain, then mash with 4 teaspoons of the butter and enough milk to reach a creamy consistency. Continue mashing until smooth. Season to taste with salt and pepper. In a large skillet over medium heat, cook sausage until heated through, about 3-5 minutes. Remove sausage from skillet and set aside. Add remaining butter to skillet, and add onion, rosemary, oregano, garlic, and mushrooms. Stir until tender. Whisk together gravy mix and water as directed on packet, then add to skillet with onion and mushrooms. Simmer, stirring constantly, to form a thick gravy. 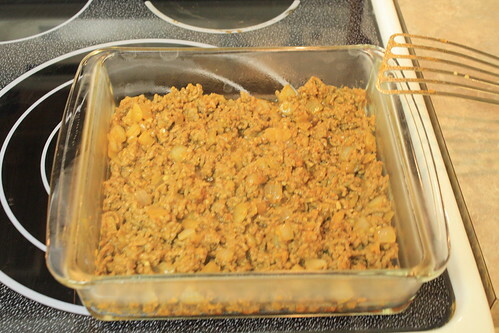 Pour half of the gravy mix into a medium sized casserole dish so that the bottom is coated. Place sausages in a layer over the gravy, then cover with remaining gravy. Top with mashed potatoes. 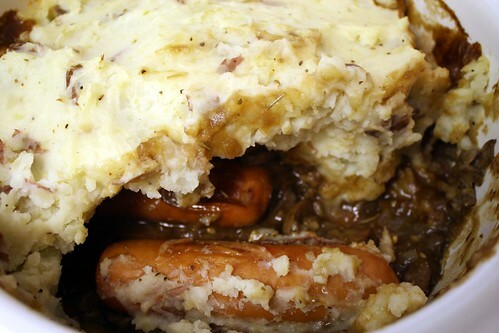 Bake bangers and mash uncovered in preheated oven for 25 minutes or until potatoes are evenly browned. This dish is a family keeper. It is so quick and easy on busy weeknights. 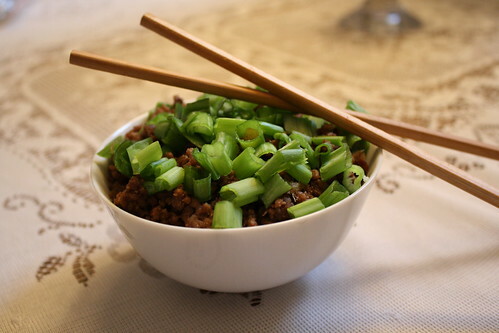 The ground beef isn’t even pre-cooked in this dish. It cooks right along with the casserole! Preheat oven to 350 degrees. 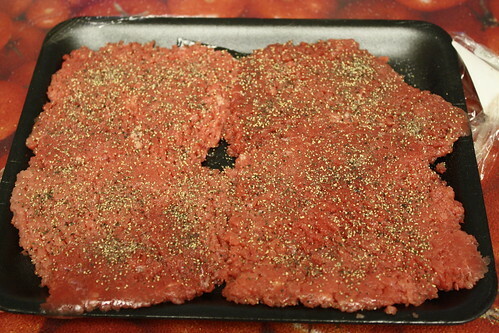 Pat ground beef into 8×8 pan and sprinkle with salt and pepper. If using, slice onion on top of beef. Slice potatoes onto onion layer, salt and pepper. Layer with shredded Velveeta cheese. 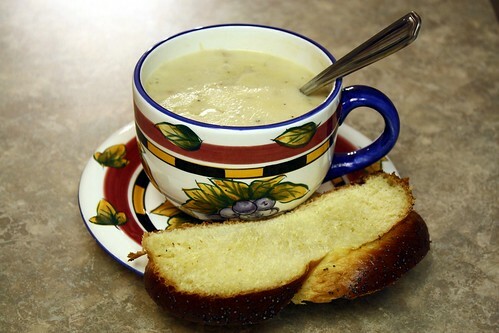 Mix soup and milk together and spread over the cheese. 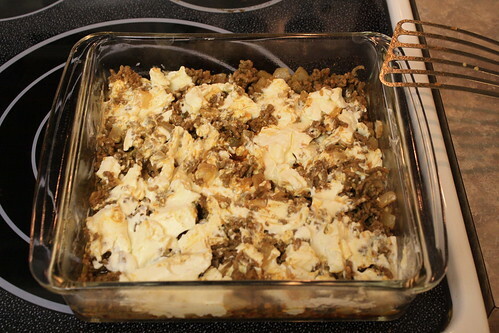 Cover with aluminum foil and bake for 1 to 1 1/2 hours or until potatoes are tender. 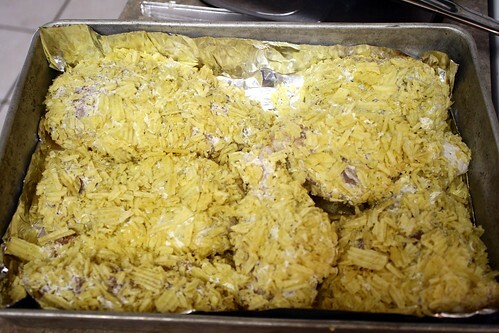 Remove foil and top with french fried onions and brown for about 5 minutes. This is such a good and easy recipe. I have had this recipe for a long time. It was given to me by my mother in law when I got married and I have fixed it many times since then. Cut up a whole chicken. Take the skin off all the pieces. (I left the skin on the drumsticks.) 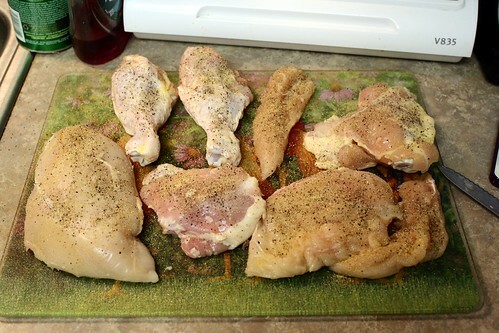 Sprinkle the chicken with salt, pepper and garlic powder on both sides. 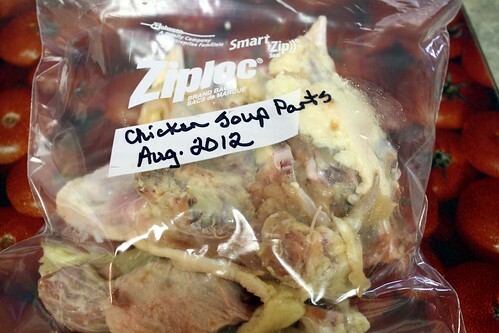 Put the other parts of the chicken such as the back, wings, etc. into a freezer bag and freeze for use later. Could be the beginning of a great chicken soup later on. 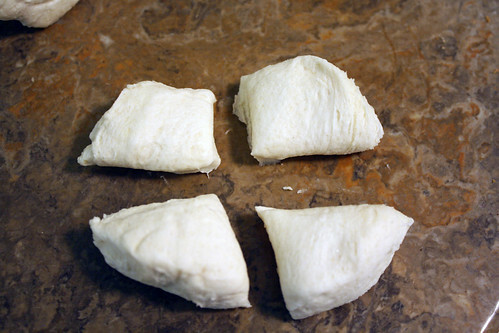 Roll each piece in sour cream. 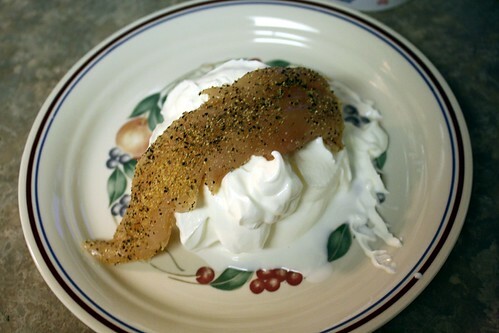 I put 1 cup of sour cream on a plate. It was just enough for one chicken. Crush 1 package of potato chips. 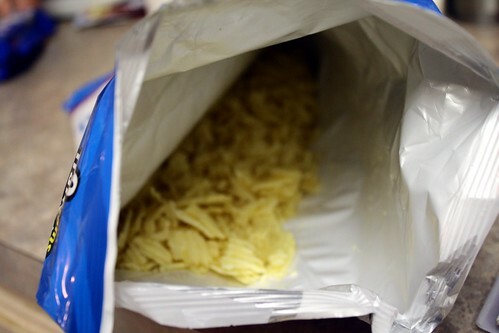 I just smash the chips right in the bag. Then I put the chicken (after it has been rolled in sour cream) right in the potato chip bag and shake it up. Put some foil in the bottom of a pan with a little oil. Place the chicken in the pan and bake at 350 degrees F for 1 to 1 1/2 hours. 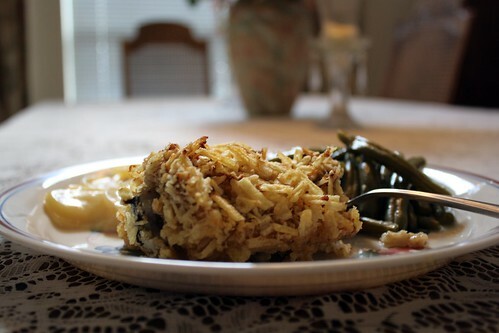 This is so good served with scalloped potatoes and green beans. 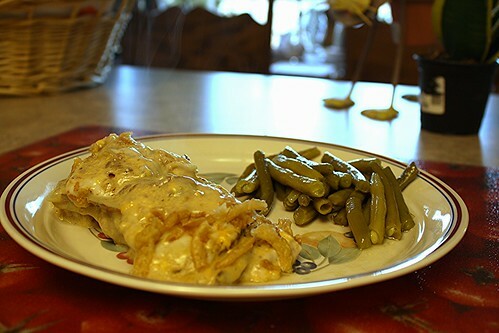 The scalloped potatoes can be baked with the chicken and they both will be done at the same time. 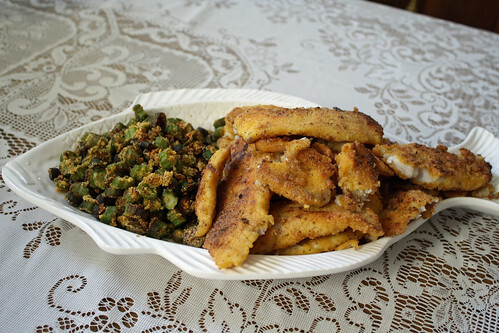 I don’t know what it is but fried fish tastes so good along with fried okra. My recipe for fried okra is here. Throw in some corn on the cob and you have got yourself a delicious meal! Next buy some of this wonderful stuff and coat your fish in it. Fry your fish up in a skillet with some vegetable oil in it and you have a really good meal! This is by far a family favorite. It is even better when I can buy fresh vegetables to go along with the dish. 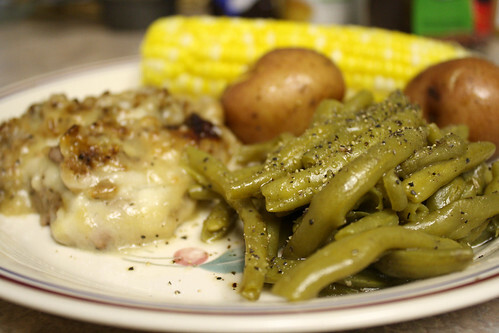 Here is my recipe for Pressure Cooker Green Beans. You can add new potatoes to the green beans too, so they both cook at the same time. I love, love, love this You Tube cooking segment on how to shuck fresh corn on the cob. Oh my goodness, I wish I had known about this little trick years ago! Here it is! Buy 4 cube steaks. Generously salt and pepper both sides of the cube steaks. 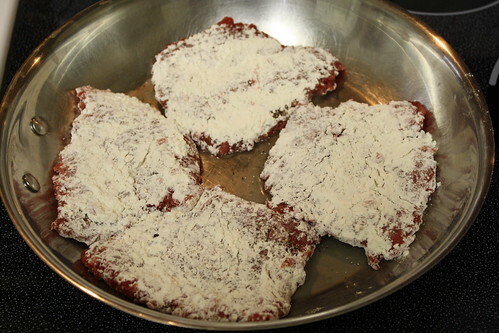 Flour both sides of the cube steaks. Flour those steaks well!! 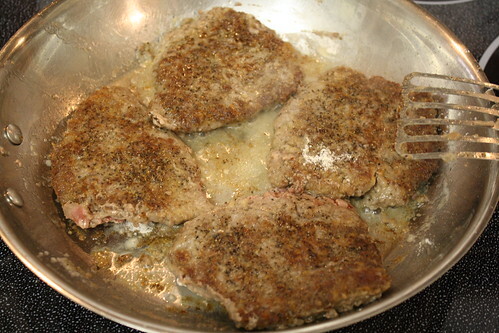 Place all four cube steaks in a skillet with some vegetable oil in it. Cook until it is good and brown. Flip it over and brown the other side. 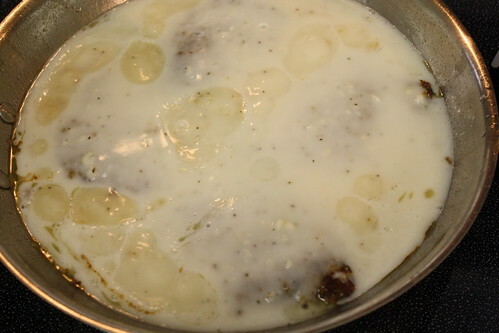 While the cube steaks are browning, start making the country gravy. 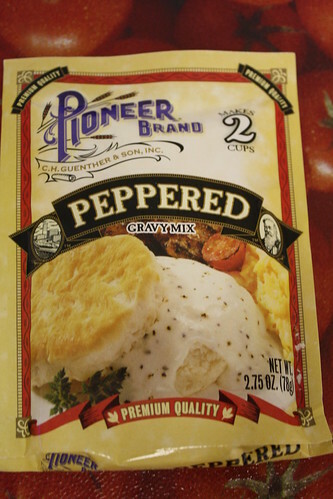 I am lazy so I grabbed a package of Pioneer gravy mix but if you are not as lazy you can go ahead and make your own white gravy and add the black pepper to it. Follow the directions on the package and make the gravy. Have it ready when both sides of the cube steaks are browned. Pour the gravy over the browned cube steaks. Simmer the steaks in the gravy for about 1 hour or until the steaks are tender. The gravy will also thicken up in the process. If the gravy is getting too thick, put a lid on the skillet. And that folks, is comfort food at it’s finest! Love this recipe! It is so versatile. You can fix it Mexican style like I did here or make it Italian style. I will give you the substitutions for the Italian variety below in the recipe if you want to fix it that way. 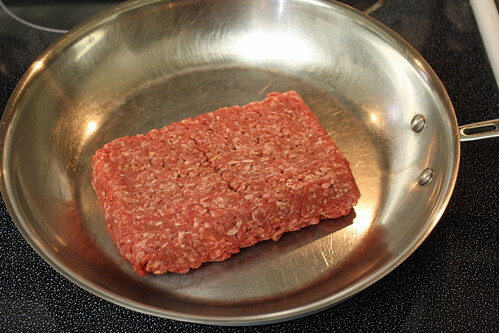 Brown 1 pound of ground beef in a skillet. You can also add other things to it at this point like chopped onion but I didn’t do that here because my family doesn’t like onions. They don’t like green peppers either so I chose to leave all that out but if you like it then by all means, add it! After the meat has browned, add a 10 oz. 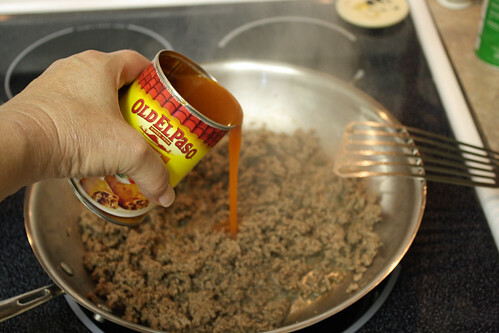 can of Old El Paso mild enchilada sauce. I added a can of medium enchilada sauce because we like things a little bit hotter. Then add an 8 oz. 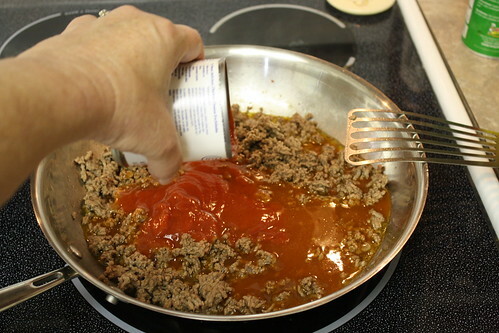 can of tomato sauce. Now grab a tube of one of these things. 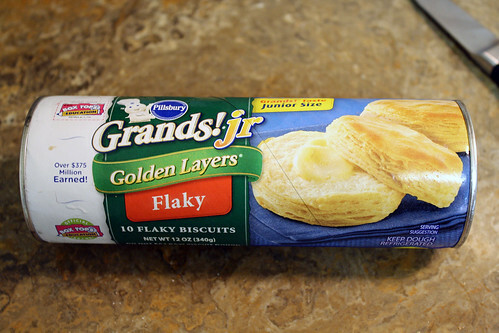 Take out each biscuit and cut it into fourths. After you have cut all the biscuits into fourths, put them all in the skillet. Mix everything up very gently. Pour everything into a 13×9 pan and cook it for 25 minutes at 350 degrees. 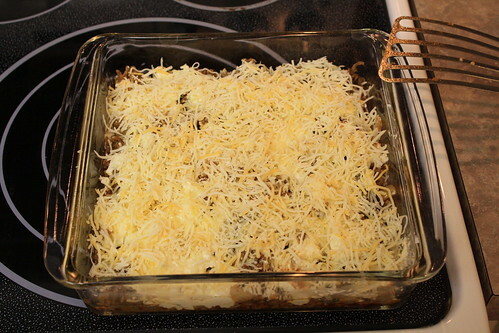 At the end of the 25 minutes, take it out and put some shredded sharp cheddar cheese on top. Return it to the oven for another 10 minutes. 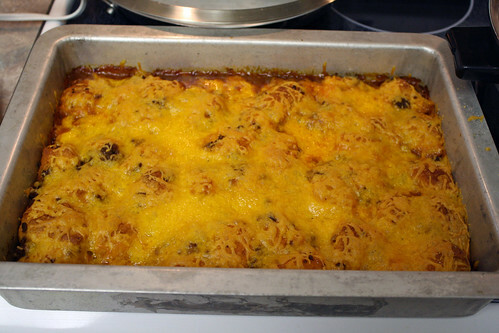 Omit the enchilada sauce, tomato sauce and cheddar cheese. Replace it with about 18 oz. or more of spaghetti sauce and mozzarella cheese. Add mushrooms or whatever you like on your pizza. It would also be good with some pepperoni in it too! 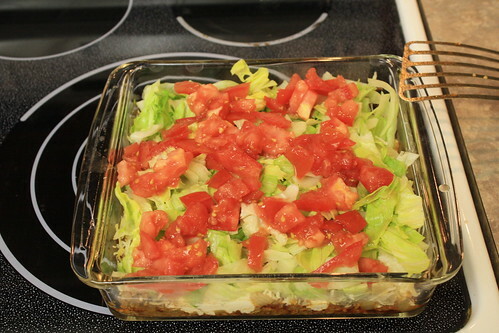 This is an easy dish to put together on a busy weeknight. 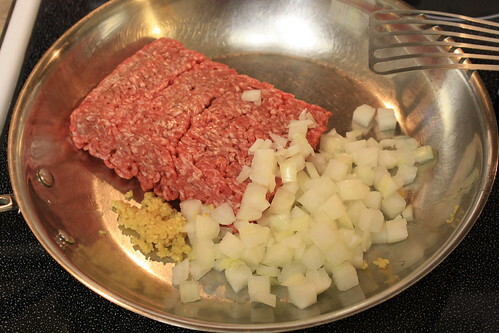 Brown 1 pound of ground beef with 1/2 of a chopped onion and 2 minced garlic cloves. 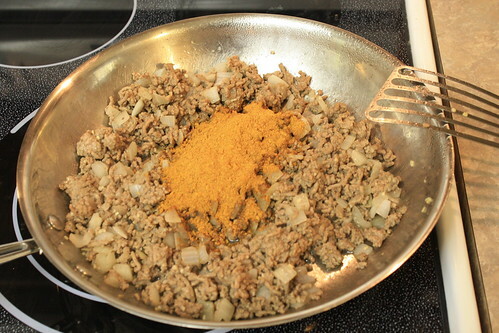 Add 1 package of taco seasoning mix. Stir well. 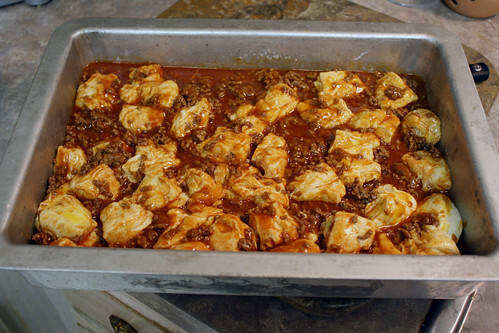 When fully cooked and mixed, pour into square casserole dish and let cool for 5-8 minutes. Spread 1-8oz. 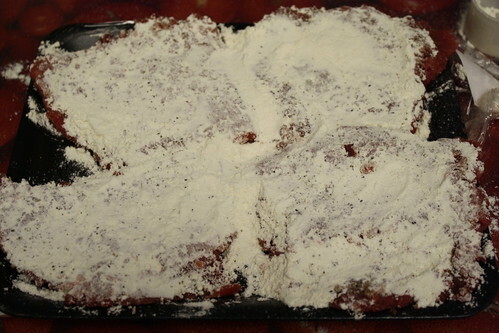 block of softened cream cheese on the top making sure it is spread evenly over the ground beef and covered. Sprinkle all sides of meat with salt, pepper and 1 teaspoon of the dill. Place in a slow cooker. Add water and vinegar. Cover and cook on LOW 7 to 9 hours or until tender. Place meat on a platter and keep warm. Turn control to HIGH. 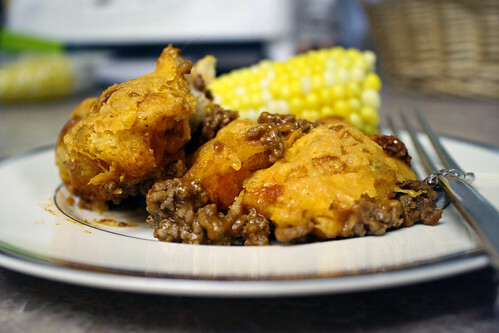 Dissolve cornstarch in water; stir into meat drippings. Stir in remaining 1 teaspoon dill. Cook on HIGH about 10 to 15 minutes or until slightly thickened. Stir in sour cream. Slice meat; serve with sauce. Note: may add 2-3 baking potatoes on top of the roast and remove before making gravy.